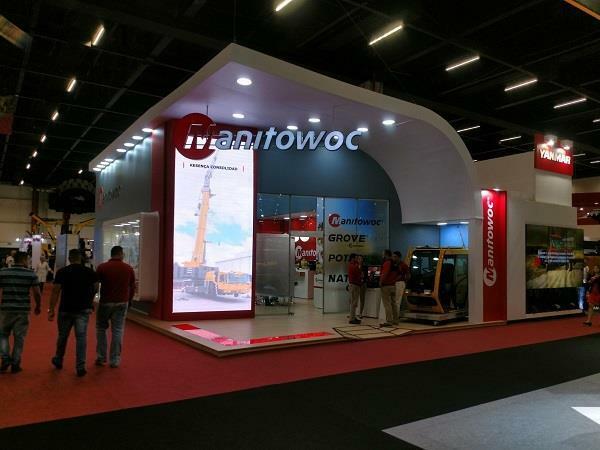 From Monday through Thursday (November 26-29), visitors to Manitowoc’s booth at M&T Expo 2018 in São Paulo, Brazil, are learning more about the company’s most innovative cranes and newest technologies. This cutting-edge equipment makes work at job sites more efficient, while increasing return on investment. After a few years of reduced activity in the Brazilian construction industry, all eyes are now focused on a potential economic recovery that could lead to the resumption of infrastructure projects and a long-expected increase in the demand for new equipment. According to Rene Porto, sales director for Manitowoc Brazil, this is a great opportunity for the company to present its new technologies and their benefits to its customers. “Our customers in Brazil are eager to know what is going on in the market and the innovations that are transforming the industry. At this year’s M&T, we are presenting technologies developed at Manitowoc that were based on feedback from customers to maximize the return on investment for their businesses, which is our ultimate goal,” he said. A team of experts from Manitowoc has been hosting discussions on some of the company’s new cranes, such as the new Grove all-terrain GMK4100L-1, GMK5150 and GMK5250L. These versatile cranes feature compact designs, powerful lifting capacities and fast highway speeds. 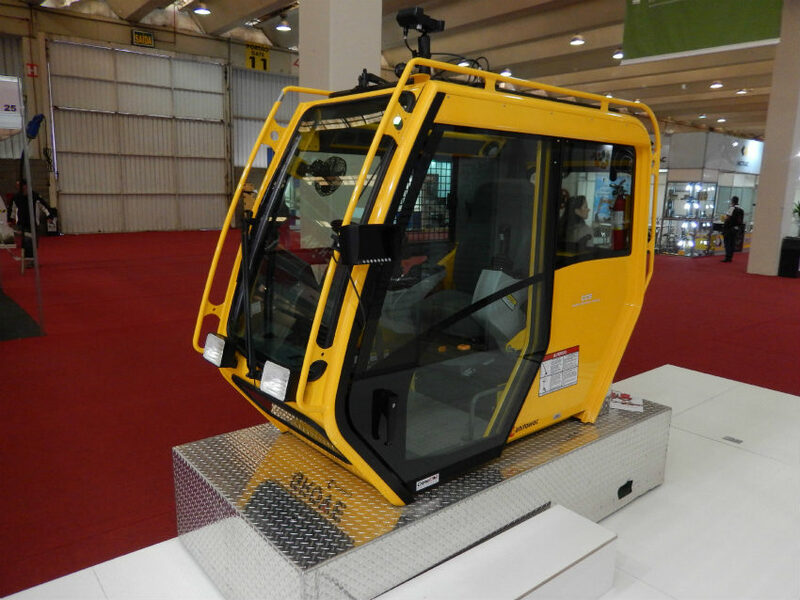 A Crane Control System (CCS) cab is on display at Manitowoc’s booth, so visitors can see how easy and efficient it is to operate the company’s intuitive, user-friendly operating platform, which is integrated across many of the new product lines. A simulator of the MAXbase system is also exhibited. It provides users with greater setup flexibility by enabling easier access to narrow sites thanks to its asymmetrical outrigger positions. This makes jobsite planning much easier and enables improved load capacities. And Manitowoc’s diagnostic smartphone app is another highlight at the tradeshow. Visitors are shown demonstrations on how the app helps crane operators interpret the numeric diagnostic codes generated by their on-board control systems and diagnose technical issues much faster. Manitowoc is the first manufacturer in the crane industry to release an app of this kind. The M&T Expo draws customers from different parts of Brazil, but also contractors, engineers and executives from construction and mining companies from all over Latin America. Cristian Galaz, Manitowoc’s vice president of sales for South America, explained that despite the lower demand for new machines registered in the last few years in Brazil, the largest economy in the region, the country is still a reference in terms of market trends.